Casey Luskin replies to an e-mail at Evolution News from someone seeking help defending ID. 2) Can you provide half a dozen (or more) examples where any scientists who publicly raised a challenge to evolution or evolution theory was also intimidated? I would appreciate it, if you could provide a few examples of people who actually supported evolution who then realized their research tended to disprove evolution. You can also provide a few examples where those in academia were intimidated. 3) Can you tell me how many states now have laws that protect teachers in allowing them to give both evidence supporting evolution as well as evidence disproving evolution? I would especially appreciate examples where the evolutionists or ACLU attempted to block those legislative attempts. 4) Can you give me examples of where evolutionists tried to deceive the public or scientific community? 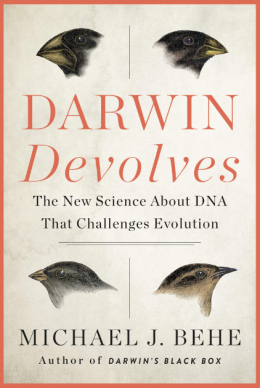 I believe I recently read that in fact bacteria haven’t been observed “evolving” and that evolutionists themselves note this is a real challenge, because they should be able to make it change but it never does. It simply reverts back. Isn’t it true that bacteria, as referenced in Wikipedia, aren’t evolving but are simply developing an immunity to the antibiotics? 6) Lastly, can you give me four or five major things that disprove evolution…. Do those sound useful to you? If so, click through, and bookmark the page for later. You might also find this video lecture by Dr. Stephen C. Meyer an excellent introduction to intelligent design in the origin of life.